Emory University Hospital Midtown's new ICU, the Peachtree ICU, is open for business. Eighteen spacious rooms are designed with the patient and family in mind. The room has plenty of room for providers to care for the patients. Providers can work in between their patients for close proximity. The Team Theater provides a unique setting for daily interdisciplinary teams to round and discuss patient care while monitoring different patients in their rooms. With the push of a button, patients can be connected to physicians and nurses with specialized critical care training. Critical care experts, such as Ramzy Rimawi, MD, connect to the patient room for remote caretaking and consulting. Emory University Hospital Midtown has opened a new 18-bed, state-of-the-art intensive care unit (ICU), complete with e-ICU technology, a team theater and spacious rooms designed with the patient and family in mind. 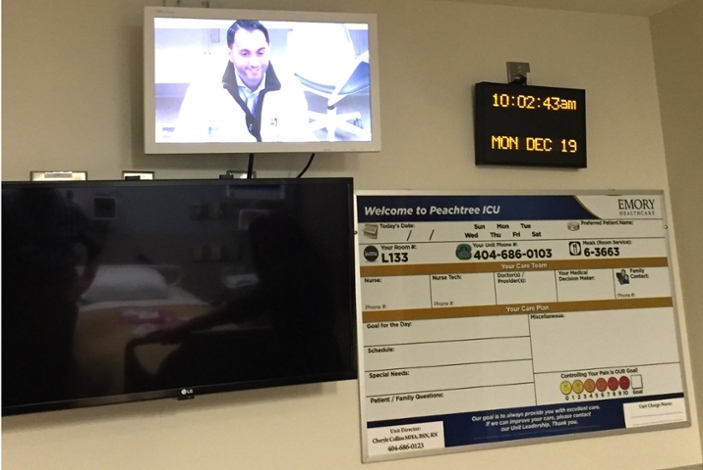 Patients moved into the new ICU, named the Peachtree ICU, on December 19. 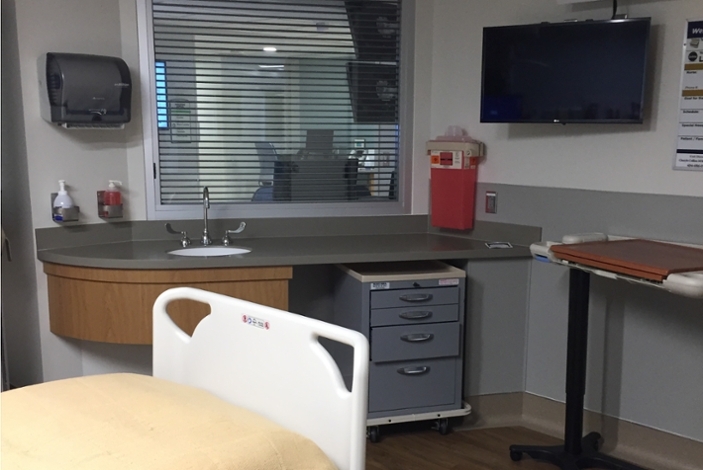 The hospital’s surgical ICU (21-ICU) moved into the new space. Twelve of the 18 beds in the unit will be occupied, with the remaining six beds to open late spring/early summer of 2017. Six of the beds are negative pressure rooms, which prevent contaminated air from leaving the room. Three of the rooms have special lifts for bariatric patients. 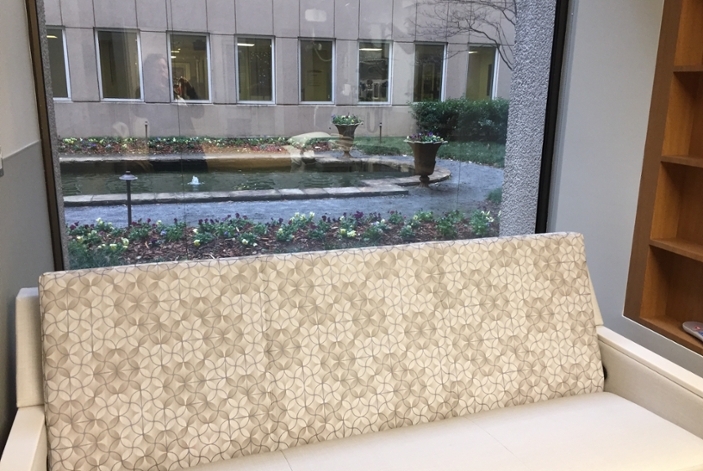 "The new Peachtree ICU will offer our patients and their families an aesthetically-pleasing and spacious healing environment during their hospitalization," says Susan Kill, RN, specialty director of critical care services at Emory University Hospital Midtown. 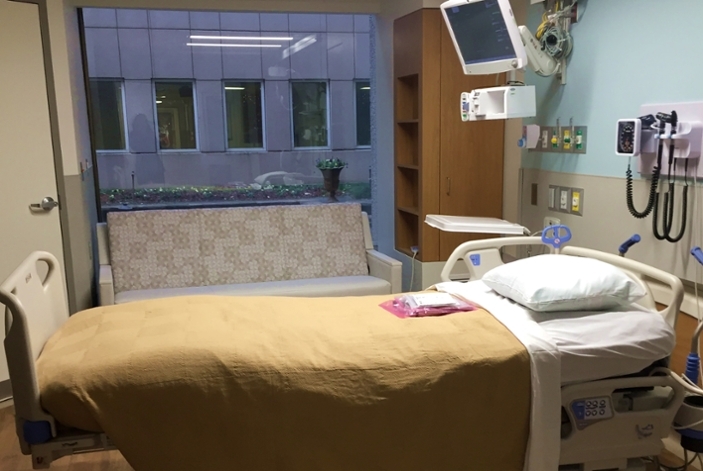 "The large rooms allow for families to stay with loved ones, while giving health care providers plenty of space to care for the patient in designated ‘clinical zones’." An interdisciplinary team of providers cares for the patients. This team includes: intensivist physicians, affiliate providers, registered nurses, nurse technicians, respiratory therapists, pharmacists, plus many more. 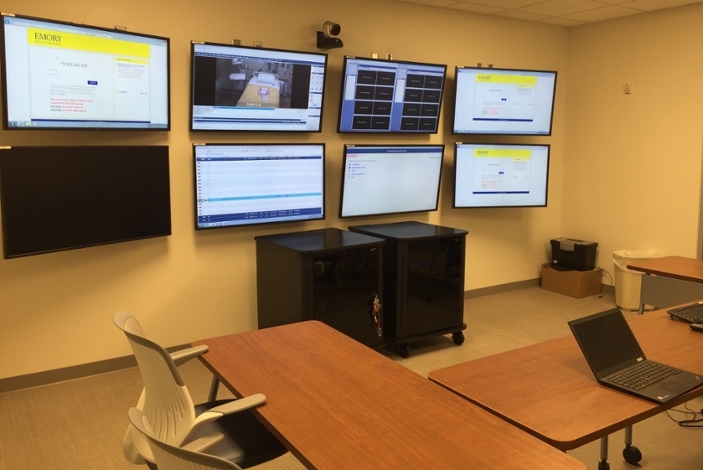 With eight television screens affixed to the wall, a team theater provides a unique setting for daily interdisciplinary teams to round and discuss patient care while monitoring different patients in their rooms. 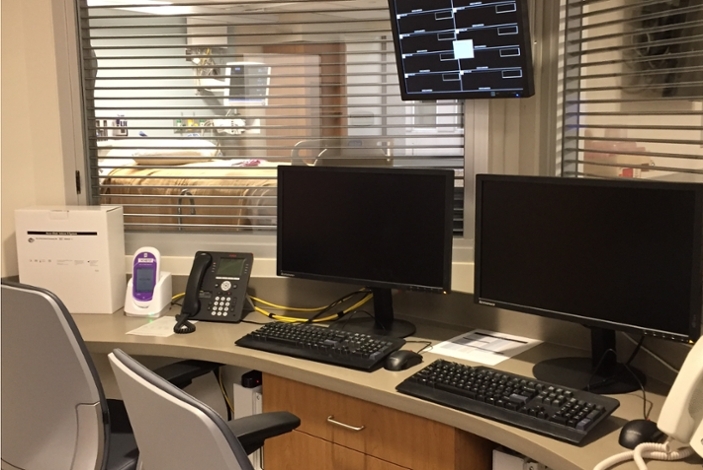 It allows for e-ICU capabilities, so Emory’s sickest patients can be monitored from outside of the hospital. Patients can be connected by a simple push of a button to physicians and nurses that have specialized training in critical care utilizing e-ICU applications for remote caretaking and consulting. The new ICU includes a family welcome center, a family conference room, a staff conference room for education and a staff retreat area, complete with aroma therapy, couches for relaxing and a massage chair for stress relief. "While this new ICU is designed for our patients and their families, we also included extra amenities for our staff to give them a place to relax during their breaks," says Cheryle Collins, RN, unit director for the Peachtree ICU. "Caring for extremely sick patients in an ICU can be very stressful for our staff, so making sure they have downtime in a positive environment is important." "We are excited to open this new ICU to better support the needs of some of our sickest patients," says Dan Owens, CEO of Emory University Hospital Midtown. "During the colder months when hospitals are overcrowded, we are pleased to have additional beds to care for our patients." The new unit brings new job opportunities for the nursing profession. Additional critical care nurses and other nursing staff are being hired to work in the new ICU, and throughout other parts of the hospital. "We have a very vibrant critical care division and we are growing every day," says Kill.